Imagine a place with 200 wineries, a dozen food vendors with enticing culinary treats, and stunning waterfront views for the perfect selfie spot. What is this perfect place? None other than the SF Vintners Market at Fort Mason, and it’s back on November 4 and 5. SF Vintners Market is an ideal wine tasting event, and it has a little something for everyone. Now that you’re ready to join 6,000 thirsty bay area wine lovers, it’s time to choose the ticket that’s just right for you. The excitement of wine tasting is in the air! If you are a wine novice, General Admission is a surefire way to get exposed to an array of wines you may not have heard of before. Meet the owners and understand the passion behind their wines as you grow your knowledge base. Tickets include a tasting glass and unlimited tasting! If you consider yourself to be a budding wine connoisseur, but feel your palate has a way to go, aim for Reserve Room tickets. This will expose you to all the wines in the General Admission area as well as wines that are a little harder to find. This is where you’ll find some of the more well-known names in the industry. The name “Cult Lounge” goes to show that some winemakers have enthusiastic followers who worship their wines, turning them into “cult wines.” To get your hands on these, you must be a serious wine enthusiast with connections. At SF Vintners Market, it means that you can get up close and personal with some of the best names in the business—a true wine lover’s dream. If you’re interested in the VIP experience, this ticket is for you. Wine tasting events can be frustrating. Why? It can be very hard to purchase a wine you fall in love with. You spend days dreaming about having just one more sip, asking around local wine shops, and searching online only to find that it is unattainable. SF Vintners Market solves this problem. This event is hosted on federal property, which means you can buy wine you love ON THE SPOT. Take it home with you or have it shipped—it’s really that simple. Treat yo’self! Trust us, you do not want to miss the opportunity of tasting (unlimited) wines from some of the top producers in California and even the world. Now that you’ve tried it and bought it, you need a way to get it home! As an event sponsor, our very own Vinnie the Vino Van will be in attendance, full of swag, pouring bubbles, and serving plenty of fun. 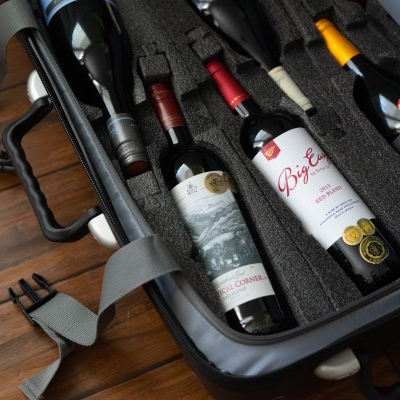 Grab a wine travel suitcase, pack it full of wine, and be on your merry way. 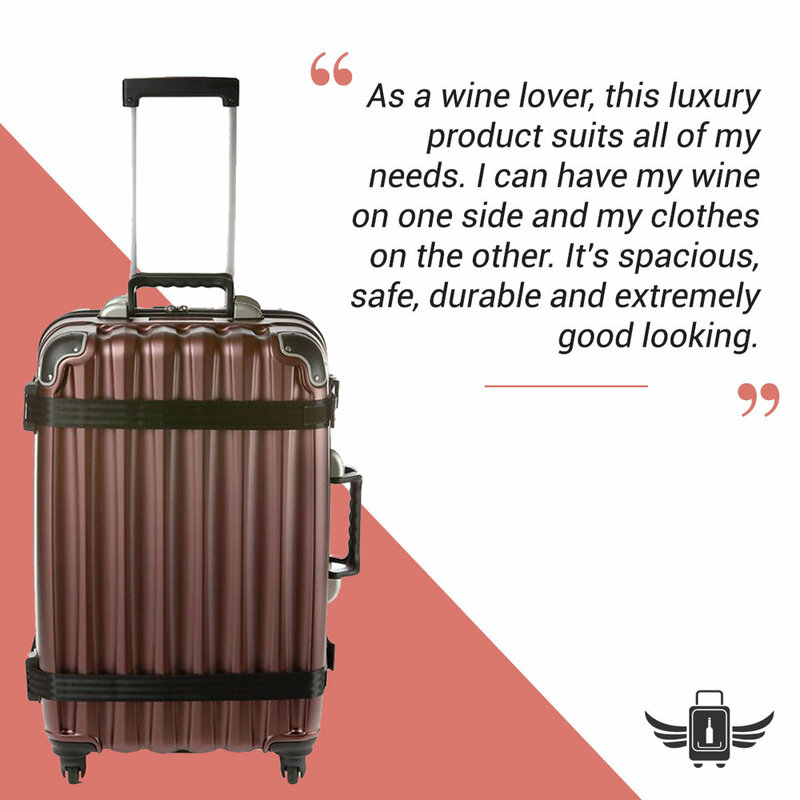 In case you need any more inspiration to go, use the link below and get 40% off your tickets from your friends at FlyWithWine.